Make your home feel a lot more warming and welcoming by introducing this adorable Silver Set Of Pug Bookends. 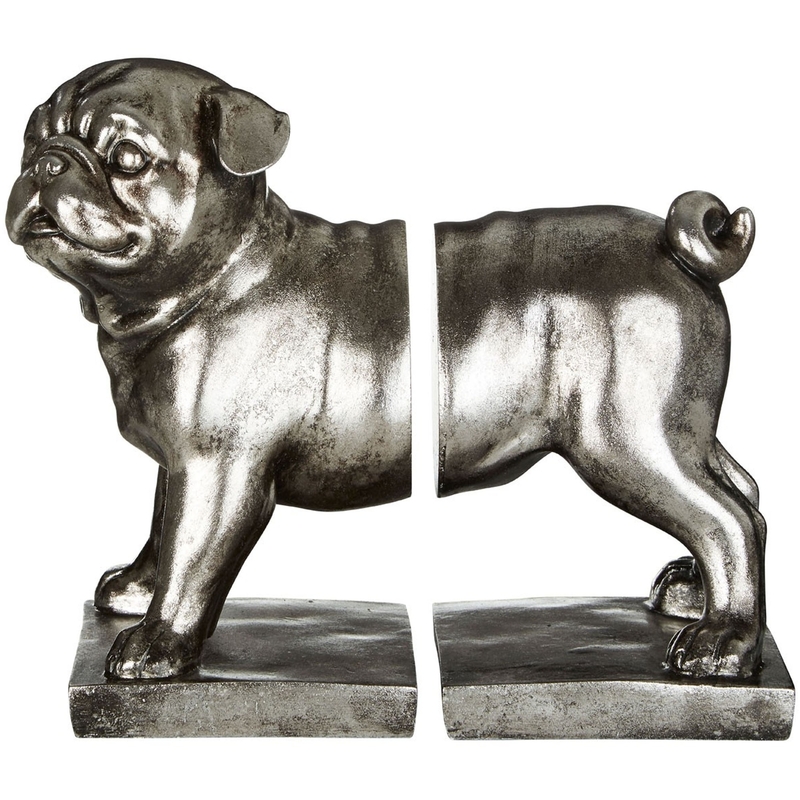 This set of pug bookends features a very cute pug, split in half to hold your books in a very abstract and stylish way. This piece is created from a magnificent polyresin material and is given a charming silver colour.